Merlo Group Australia offer a wide range of products and services across telescopic handlers, agricultural materials handling, tool carriers and concrete mixers. 29/05/09 - Two new Biljax self-propelled x-booms are now available from Haulotte Group. 09/07/08 - Genie Australia provides telehandlers which are ideal for lifting, moving or placing materials or objects. 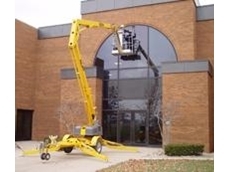 08/07/08 - Genie Australia offers a complete range of portable and self-contained material lifts. 07/07/08 - Genie Australia specialises in providing lifting equipment and aerial work platforms.